Cost, Skills, Tools: The cost of this job can vary greatly based on how and where you find the materials. 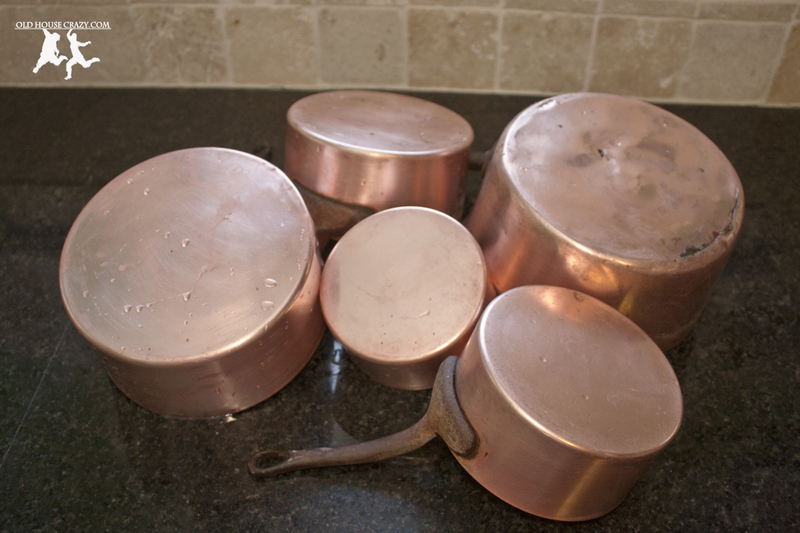 We spent fifty bucks on the set of antique solid copper pots at an auction. The ladder section came from the same ladder we used on our hanging ladder pot rack and our ladder book shelf, so it was free from our neighbor. I’ve seen ladders like this in antique shops priced at a hundred dollars, so shop around or look for a free one. I had some copper roofing nails and clear coat finish left over from earlier jobs, so the total cost of this job for us was fifty dollars. If you try it, I’d love to hear how much you had to spend. I used a drill/driver to mount the rack and a saw to cut the original ladder. 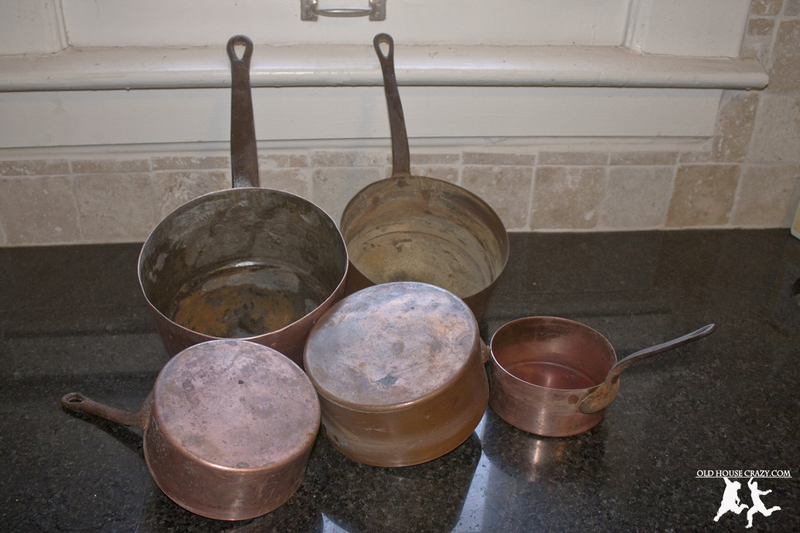 Five antique copper pots that are in need of some polish. 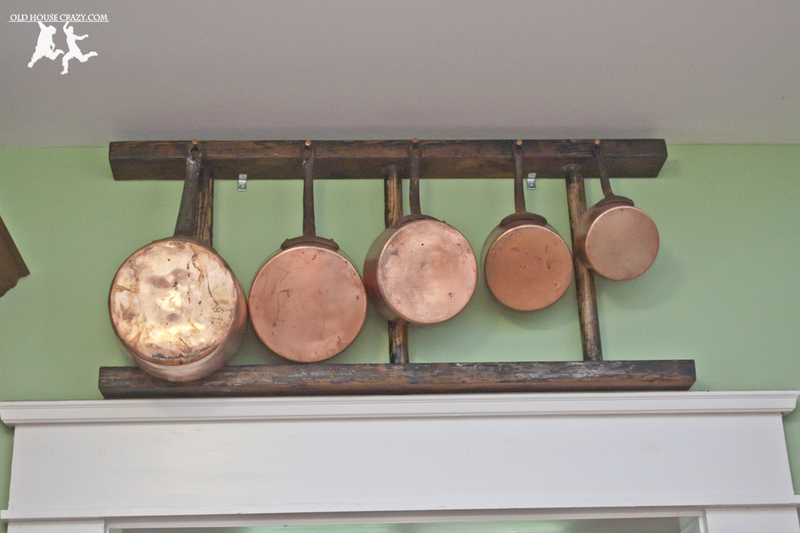 Instructions: In the photo above, you see the set of five solid copper pots that we bought at an auction. They nest inside one another and are really heavy. As you can tell, they were really tarnished and kind of nasty when we bought them, so we needed to clean them up if we were going to display them in the house. I used copper polish that I bought at the hardware store, some hot water, and some elbow grease to clean them up. It took about an hour of scrubbing to get them shiny, but they turned out incredibly. Copper is such a beautiful metal. A little work and some polish goes a long way. You can see in the photo above just how nicely the pots cleaned up. The largest pot is the only one that is damaged. You can see a crack on the right side of the pot. It could be repaired so the pot could be used, but we really bought these pots for decoration, so we’re going to leave it as it is. After I cut the ladder into a three foot section, I simply had to sand it a little and paint on a single coat of clear gloss polyurethane. After that, I used a couple of L-brackets to mount the ladder into the wall above one of the doorways in our kitchen. The pots are hung from the top of the ladder using copper roofing nails that I hammered into pre-drilled holes. 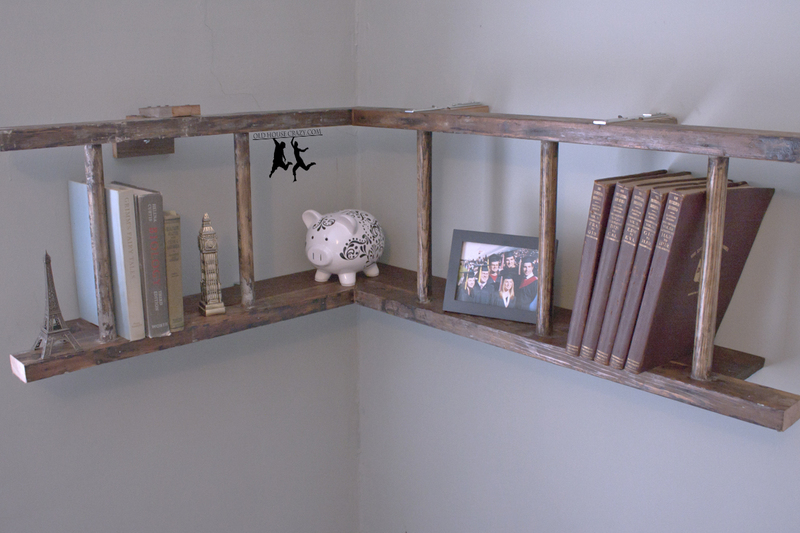 As DIY projects go, this one was really simple and easy so you should give it a try. 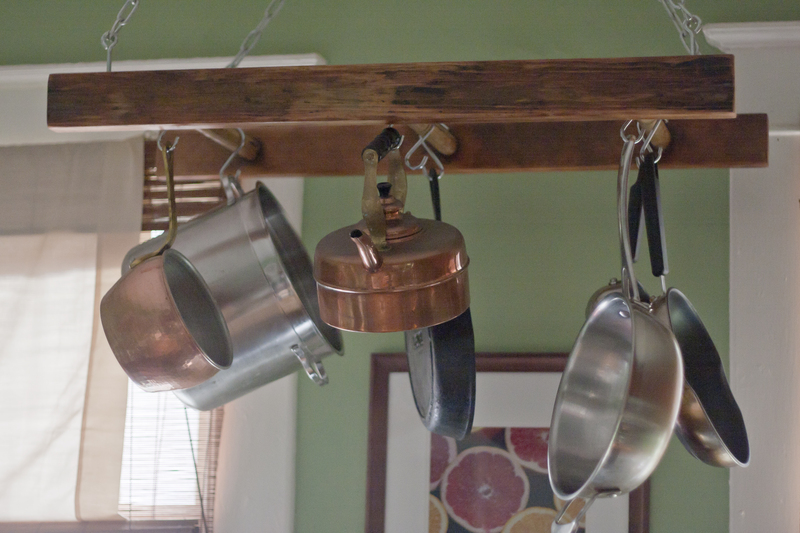 We are using this as decoration, but you could easily use something like this in a lower spot and hang the pots you use every day. This entry was posted in Better than store bought, DIY, Eco Friendly, Furniture, Home Built, Home made, ladder, Old Hardware, Recycled, Repurposed and tagged DIY, diy project, Do it yourself, eco friendly, Homemade, ladder, organization, organize your life, repurposed, tools and techniques. Bookmark the permalink.